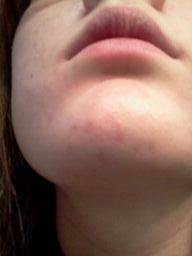 Acne spots after treatment with lemon juice and aloe. My acne spots still remain. How long does it take for these things to work or are these red marks scars? They're just hyperpigmenation from acne, definitely not a scar and with time they will fade on their own. A dermatologist could give you a cream to fade them much faster though which is what I'd advise, or use a product containing glycolic acid.